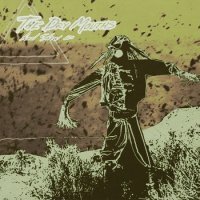 Dying of thirst in the Tabernas Desert, Spanish power trio The Dry Mouths want to demonstrate their talents. 'And Show Us' is the third album from the Almerían stoner rockers, but not one that finds them any closer to paradise. The three amigos' alternative rock owes as much to the American stoner rock sounds as it does to 90s post-punk. Early Nirvana and Queens Of The Stone Age being prime influences thanks to busy bass-lines, sparse verses and all-out choruses. When they get lost in their stoner jams 'And Show Us' becomes an album to easily turn out, tune in and drop out to. Languid 'Intermental III' conjures sprawling images of dusty landscapes and bleeds into a psychedelic trance-like state, while 'Aid Teken Dogs' similarly boasts mid-tempo grunge influences with a more familiar hard rock groove. The laid back production dampens down any thoughts of a power surge, which ultimately proves to be TDM's downfall. The likes of 'No Name / Not Named / Nameless' and 'Song 4444' quickly run out of juice and the formula starts to stick. Try as they might to find a hook to hang the chorus on, it's never quite managed, and opener 'Harry Reems' is the closest we get. 'And Show Us' is an album that it is quick to like but ultimately hard to love. Some confusing genre splicing eventually proves too much and leave it bogged down with the weight of the riffs that have nowhere to go.